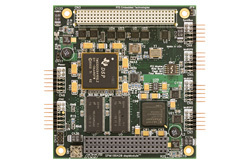 RTD offers a broad line of Digital Signal Processing Modules based on Texas Instruments’ high-performance DSPs. These specialized modules speed up math-intensive operations permitting the CPU to manage other application specific tasks. 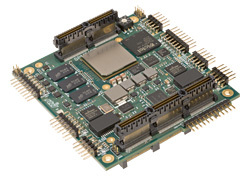 dspModules also operate as stand-alone processors by using the on-board flash memory to store executable programs, thereby reducing overall system costs and power consumption when a CPU is not needed. 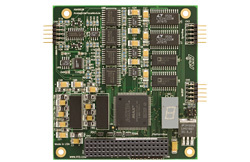 All dspModules are programmable in C/C++ using Texas Instruments’ Code Composer Studio and RTD’s DSP platform libraries to streamline software development. *** You like high-performance products! *** Did you know about RTD's 16-bit 25 MHz Digitizer? 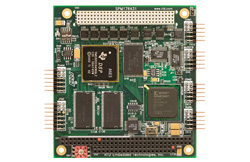 This high-speed DAQ module can pair with our DSPs and CPUs to create some exceptionally powerful systems while occupying a small, PC/104-sized footprint.